It's just your face. : It's working! It's working! I can't believe it's working! After years of prescription medications (some $150 dollars or more each) and over the counter medications and over a year on antibiotics (which worked but wasn't good for my body) all this time all I needed was the oils already in my cabinet. It almost seems like a joke. 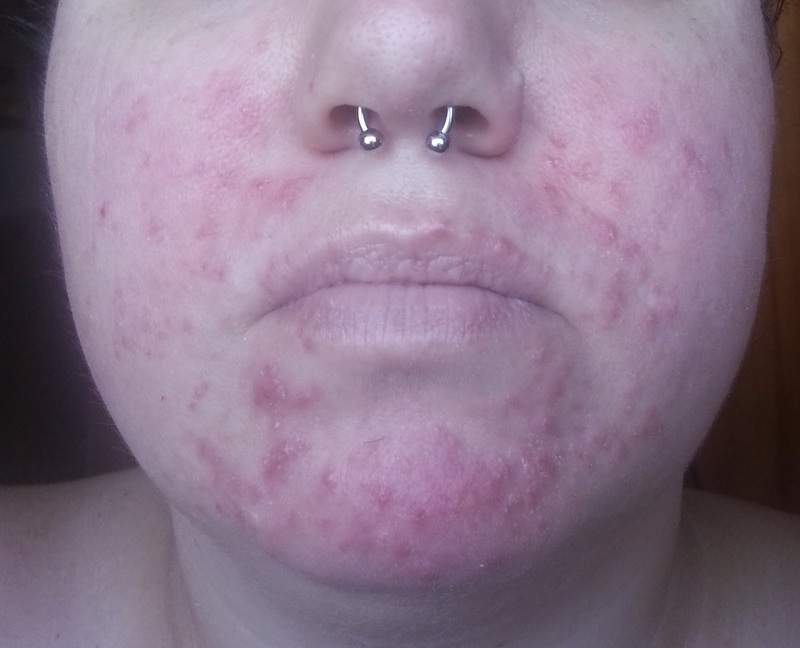 So when I woke up my face felt great, it felt normal, I felt nothing. LOL. Most of the p&p are healing, I did have about 5 new ones but it's better than waking up to 20 or more and I know I will still keep getting them for a while as I keep killing off the mites. 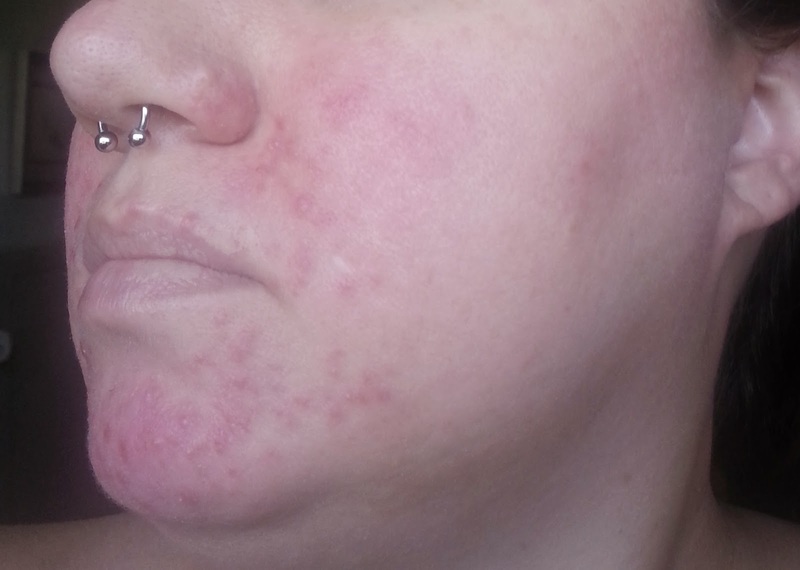 My face is a lot less red, more pink healing skin than red inflamed pissed off skin. It is REALLY dry and flaky. I am not sure what to put on it to help, I have some pure shea butter but I am not sure if I want to use it. Since I have cut back to using just 3 items on my face it has greatly approved and I am a little scared to add something new and screw it all up. I will have to think about it, for now I am just going to put some pure argan no tto on to help. Okay so on to the pictures! Sorry about the last one being a little washed out but you can see the amount of redness in the other two. Oh and sorry about the sleep creases, I take these first thing when I wake up so that you can get a true idea of how my face looks before I do something or eat something and make it flush somehow.